﻿ Shree Rang - Green Cross Agritech Pvt. 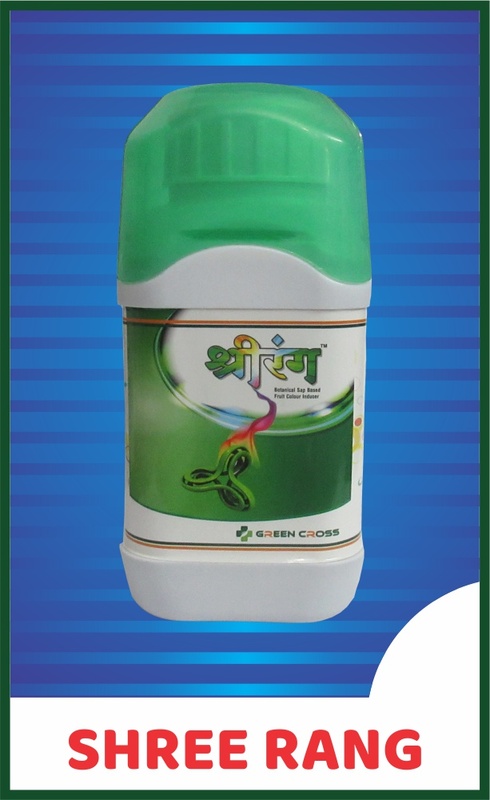 Ltd.
Shreerang is an organic product consisting of extracts of wild and domesticated plants. Shreerang contains various nutrients in natural form, amino acids, natural vitamins and enzymes that get quickly absorbed in the plant system. The use of this product helps in the development of fruit size, colour and luster. It is recommended to use this product before the harvesting of the fruits and vegetables to increase the quality of the produce and get the better market price. Shreerang is derived from the natural sources so is is a residue free, environment friendly and non-toxic to the animals. This product is also suitable for export oriented high value crops to increase the shelf life and residue free quality produce.